Today is World Gratitude Day. First celebrated in 1965, it was later officially adopted by the United Nations Meditation Group and is recognized each year as a day to show appreciation for all things, big and small. So, of course, this JOLT girl had to jump in with my two cents, and some helpful suggestions on how you can celebrate. Living a grateful life is like any other habit. It takes time to cultivate positive actions and attitudes into our daily lives. But, with commitment, you wake up one morning and realize that you see all the good around you. It's all in how you choose to look at things. Here are five suggestions to make this day count. Take a Moment to Appreciate Your Family Tree: Family... what a bag of mixed nuts we all are. So different in the fruit we produce, but all stemming from the same rooted tree of love. And, day to day, we can start to pay attention to the differences between us instead of recognizing and celebrating the glue that keeps us together. Today, take a moment to pause and give thanks to your family members for all the good they bring into your life. Tell your siblings how much you appreciate the support they give you, tell your spouse how it feels to be connected and loved. Tell your kids how proud you are of them. Give the dog an extra treat and say thank you for the lessons of unconditional love that only an animal can give. Appreciate the Positives of Being Connected: Social media has been a point of discussion as we evolve as a planet, and learn how to treat and communicate with each other online. We see the negatives; online bullying, sharing too much information, using Facebook to complain about your life or lament about your neighbor's new stereo. But just like anything in life, it all about choice. You can choose to have your social media forum be a voice of positivity. Start today. Compliment others, share links for local businesses that really go the extra mile, post pictures of the beauty of nature, and make the choice to send out a positive ripple. Be Thankful for Your Community: What if you made it a point to say a heartfelt thank you every time someone made a difference in your community? From the server at your local restaurant, the firemen, the policemen, the garbage man, to the nurse, the butcher, the baker, and the candlestick-maker. I once suggested this, and had someone angrily ask why they should say thank you to people who are being paid to do the job? My answer? Why not? What are you losing from giving away gratitude? What does your cynicism give you? I give thanks to the people who perform duties that keep us safe and make our lives easier. And beyond that, give thanks to the volunteers and countless people who give of themselves with no expectation of recognition or thanks. Where would we be without them? 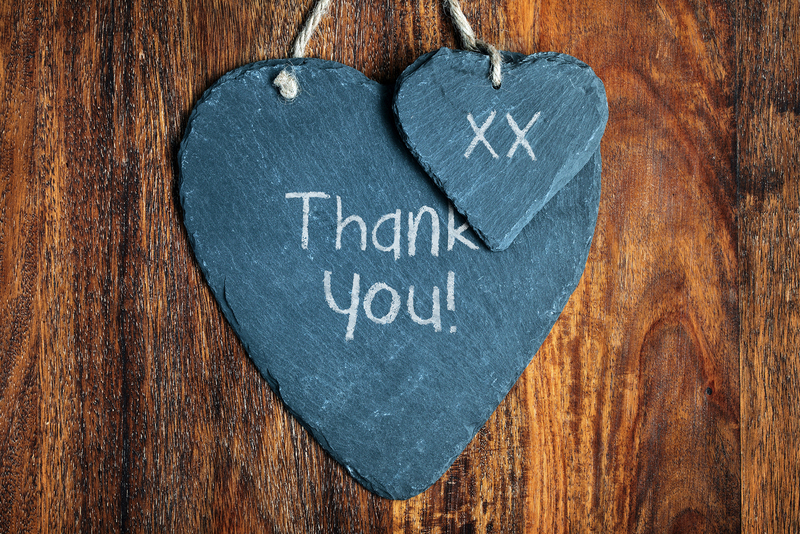 Practice Internal Gratitude-Give Yourself a Little Love: Why is it so tough for us to be grateful for our perfectly imperfect life? Why do we look in the mirror and see the crow's-feet instead of the sparkle in our eyes? Truly the foundation of a grateful life is giving thanks for the beauty within the imperfection. Let yourself look at your life with understanding and loving eyes. Stop beating yourself up, and give thanks for each breath, each heartbeat. Whoever told you that you had to be perfect? So, let it go. Love yourself. Last year, I made a choice that each time I was getting ready in the morning, I was going to give thanks for the stretch marks on my stomach. You see, I've cringed about them for so long. But, I decided to change the conversation. I decided to be thankful for them because they were reminders of my beautiful children, and the miracle of pregnancy. I decided to reframe what I once perceived as a flaw. It is a life tattoo of a wondrous and miraculous time in my life. Give thanks today for your life, even the broken bits. You are beautiful. 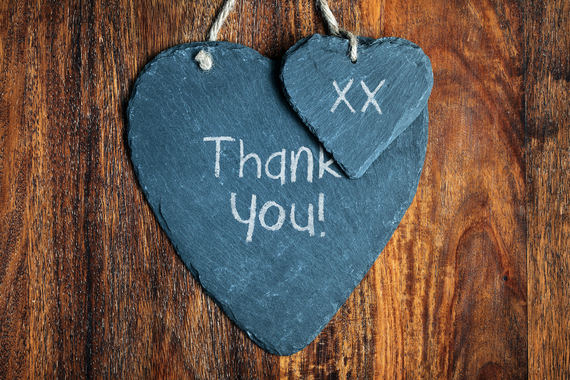 Give Your Life a Gratitude Makeover: The biggest way for you to celebrate World Gratitude Day? Recognize that you don't have to wait another 364 days to celebrate it again. Make this a daily practice in your life. Buy a gratitude journal. Begin and end each day with a deep cleansing breath and a prayer of thanks for life itself. Join the JOLT movement with me and 126,000 others. We come together from over 45 different countries, speaking over 38 different languages, all looking for one little thing each day to be thankful for. We've all had hills and valleys in our lives, and sometimes, one little thing is all we can grasp onto each day. But we choose to see the good. Because truly, what is the alternative? The world is flawed. So are we. I only wish we had the power to change that with the blink of an eye. We cannot. But we can change our piece of the world, we can change our internal conversations, and we can send out a ripple of possibility. By giving thanks each day, we cast a light into the darkness, reminding ourselves and each other that goodness is never far away. Today, I am thankful for the opportunity to share this journey with all of you. To recognize the perfection in the imperfection, and give thanks for another day to feel the wind on my face and the air in my lungs.